The original Atari Inc. was founded in 1972 by Nolan Bushnell and Ted Dabney. It was a pioneer in arcade games, home video game consoles, and home computers. 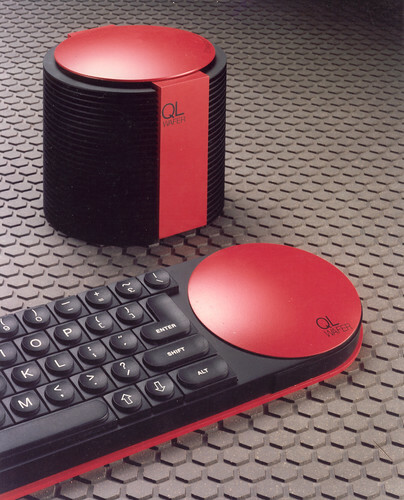 Although probably better known for their games consoles, such as Pong and the Atari 2600, during the 1980s and 1990s, Atari released a range of computers which compared well with those of its rivals, although they never attained the same market reach as Sinclair or Commodore. Atari released the Atari 400 and Atari 800 in 1980. In 1984, Atari Corporation was purchased by Jack Tramiel (the founder of Commodore) and produced an Atari XE range of 8 bit computers, Atari ST range of 16 bit computers and Atari TT range of 32 bit computers (between 1984-1990). Since the 1980s, the Atari company and brand has passed through a series of hands and is currently owned by Infogrames Entertainment, SA. 25 days, 16h:10m:03s £8.00 Buy now! 28 days, 06h:40m:24s £19.99 Buy now! Master Chess 0 days, 10h:27m:39s £1.25 Buy now! Ghostbusters 0 days, 19h:04m:09s £1.45 Buy now! Page 6 Library - The Ark Comms (Disk DS#19) 0 days, 19h:33m:56s £1.95 Buy now! Page 6 Library - Kermit / aModem (Disk DS#9) 0 days, 19h:33m:56s £1.95 Buy now! 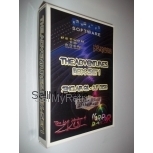 Atari Software Pack (Compilation) 0 days, 19h:33m:56s £4.75 Buy now! Atari Writer - Master Disk 0 days, 19h:33m:56s £2.55 Buy now! Mercenary - Escape From Targ + Manual 0 days, 19h:35m:21s £9.95 Buy now! New Atari User - Coverdisk (Issue 46) 0 days, 19h:43m:56s £2.25 Buy now! Page 6 Magazine Coverdisk (Issue 38) 0 days, 19h:43m:56s £2.25 Buy now! New Atari User - Coverdisk (Issue 47) 0 days, 19h:43m:56s £2.25 Buy now! Atari User Coverdisk - Ten Of The Best Utilities (7017/7018) 0 days, 19h:43m:56s £2.55 Buy now! Page 6 Magazine Coverdisk (Issue 36) 0 days, 19h:43m:56s £2.25 Buy now! New Atari User - Coverdisk (Issue 48) 0 days, 19h:43m:56s £2.25 Buy now! Page 6 Magazine Coverdisk (Issue 44) 0 days, 19h:43m:56s £2.25 Buy now! Page 6 Magazine Coverdisk (Issue 35) 0 days, 19h:43m:56s £2.25 Buy now! Page 6 Magazine Coverdisk (Issue 43) 0 days, 19h:43m:56s £2.25 Buy now! Page 6 Magazine Coverdisk (Issue 34) 0 days, 19h:43m:56s £2.25 Buy now! Page 6 Magazine Coverdisk (Issue 42) 0 days, 19h:43m:56s £2.25 Buy now! Page 6 Magazine Coverdisk (Issue 33) 0 days, 19h:43m:56s £2.25 Buy now! Page 6 Magazine Coverdisk (Issue 32) 0 days, 19h:43m:56s £2.25 Buy now!